Infosys was up 4% at Rs 727 on Tuesday, trading at its highest level since October 8, 2018, on BSE and less than 4% away from its all-time high price of Rs 755 touched on October 1, 2018. Shares of Infosys hit a three-month high of Rs 727, up 4 per cent on Tuesday, extending its Monday’s 2.5 per cent gain on the BSE, after the software services firm increased FY19 constant currency (CC) revenue growth guidance to 8.5-9 per cent from 6-8 per cent earlier. The company has maintained its EBIT (earnings before interest and tax) margin guidance range at 22-24 per cent. The stock of India's second largest IT services firm was trading at its highest level since October 8, 2018, on the BSE. It was less than 4 per cent away from its all-time high price of Rs 755 touched on October 1, 2018, in the intra-day trade. Infosys, on Friday after market hours, announced a special dividend of Rs 4 per share. The company announced buyback under the open market route of Rs 8,260 crore at a maximum price of Rs 800 per share. “Infosys has positively surprised the Street with growth surpassing that of Tata Consultancy Services (TCS) again, while upgraded guidance and deal wins signify strong underlying traction. Improving performance of financial services vertical and traction in other key verticals i.e. ENU and MFG are positive driving factors, in our view,” analysts at Reliance Securities said in Q3FY19 result update. However, owing to various cost headwinds, we believe FY20E will be a year of flat-to-lower margin despite improved momentum on the revenue front. Thus, we reduce our earnings estimates but raise our target PE multiple to 20x (18x) owing to improving business momentum, and maintain our BUY recommendation on the stock with a revised target price of Rs 840 (from Rs 795 earlier), it added. Infosys’s impressive catch up on revenue growth with industry leaders is encouraging, while challenges on the margins are secular. Q3FY19 performance will make a case for the narrowing of the valuation gap with leading peers such as TCS, in line with our thesis, according to Motilal Oswal Securities. The brokerage maintains ‘BUY’ rating on the stock with target price of Rs 800 per share. “We remain positive on Infosys as increased revenue guidance and better exit rate for FY19 will help them achieve double-digit revenue growth in FY20. 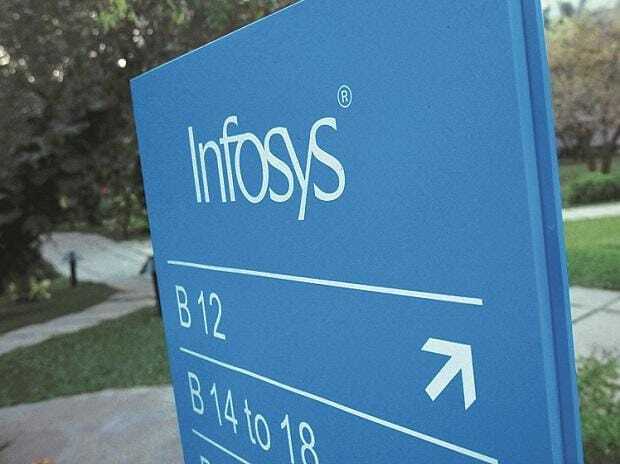 We believe Infosys to report an EBIT margin at the midpoint of its guidance range in FY19, on account of the retention bonus, rupee appreciation, and continued investment,” analysts at Dolat Capital said in result update. The company has reported a healthy quarter, a tad better than that of TCS, and the discount for Infosys versus TCS is currently 27 per cent based on FY20 PER. We expect this discount to narrow, due to a healthy growth rate in the short term, it added.